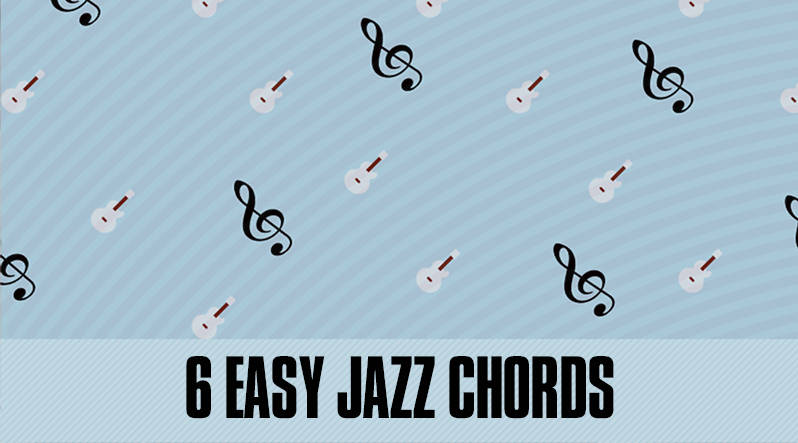 Jazz guitar playing is great if you want to learn how to play a little bit with your fingers, since a lot of classic jazz players play the bass note while fingers 1, 2, and 3 are plucking the D, G and B strings, but you may play all the strings if you like. The major 7th chord is just a normal major triad chord but with an added fourth note, the major 7th. If you want to play it in a more jazzy style you can mute the 1st and 5th strings of the guitar. The dominant 7th chord is neither a major or minor 7th chord and it borrows a little bit from how both of those latter chords are formed. 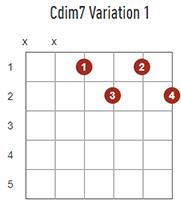 To create a dominant 7th chord, you must take the root note, a major 3rd, the 5th, and then add a flat or minor 7th. Let’s take a look at this A Dominant 7th chord, or A7 for short. 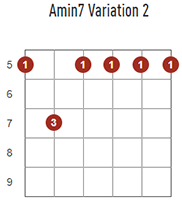 In order to understand Dim7 chords, one must first understand how to get a standard diminished chord. 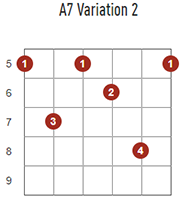 Diminished chords are triads that are made up of the root note, the minor 3rd, and a diminished 5th. 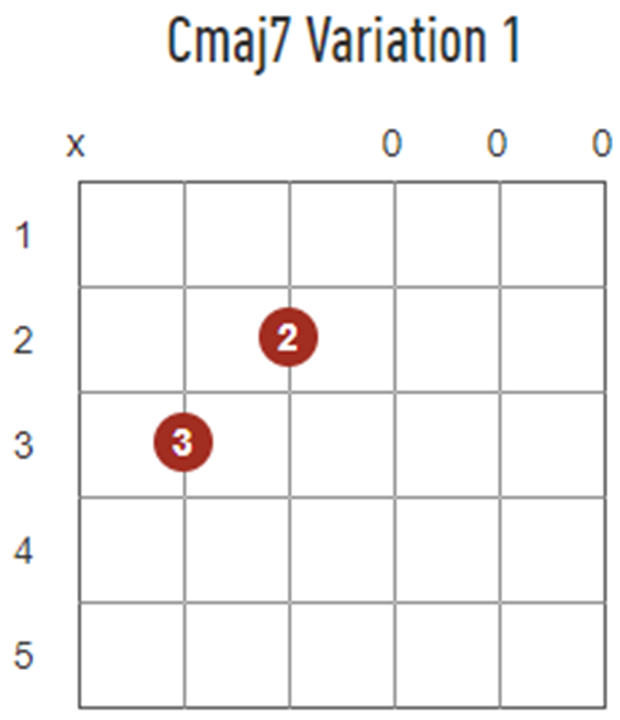 The notes of this chord are separated by minor 3rds, and if we want to add another note to create a diminished 7th chord, we must choose the note that is also a minor 3rd away, which is the equivalent of three semitones, or you can think about it like three fret spaces on a guitar. To make this a diminished 7th chord, we move 3 semitones down and then simply add the diminished 7th, which in common music theory is referred to as the B double flat (Bbb) for this particular chord. You can ignore the fact that it’s labeled as a double flat, even though the note is the same as the 6th. 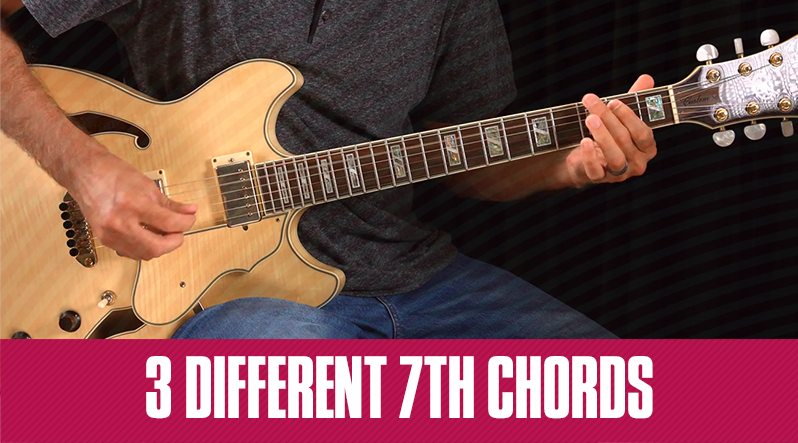 This chord is like the dim7 chord above but a little bit easier to wrap your head around. 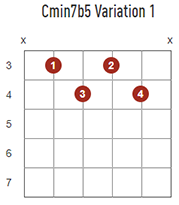 The dim7b5 chord is made up of the root note, the minor 3rd, a diminished 5th, and a minor 7th. Okay, what the heck does that mean? 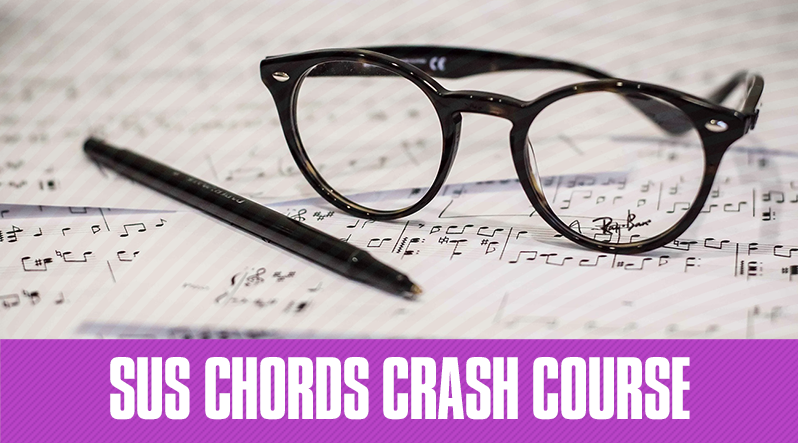 Play around with these different chord shapes and don’t be afraid to click around our chord charts for additional ways to play these as well. There are a ton more jazz chords out there and this is just scratching the surface. As you play around with these, you’ll notice that they all sound dissonant, a little mysterious and great for building tension in a song. Give it a try, you’re going to have a ton of fun!